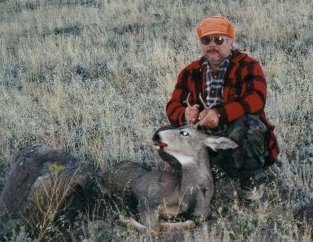 In 1998, deer hunting continued to be tough across most of the western states, and Wyoming was no exception. Deer and antelope herd numbers and quality were far below par. Some blame the winter, others blame predators, and some even blame the elk herds which are thriving in the same areas. 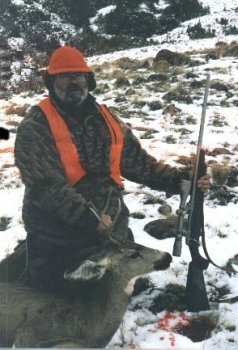 Regardless, Bob and I were fortunate enough to score these small bodied bucks near the end of the hunt. They are both fork horn bucks and we felt fortunate to get them after hunting hard and enduring bad weather.